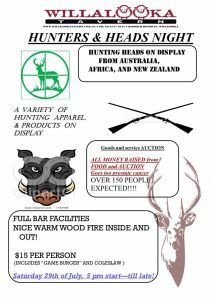 Heads-up to all hunters who enjoy a hot fire and good company, the Willalooka Tavern‘s annual Hunters and Heads night is is on again this month. 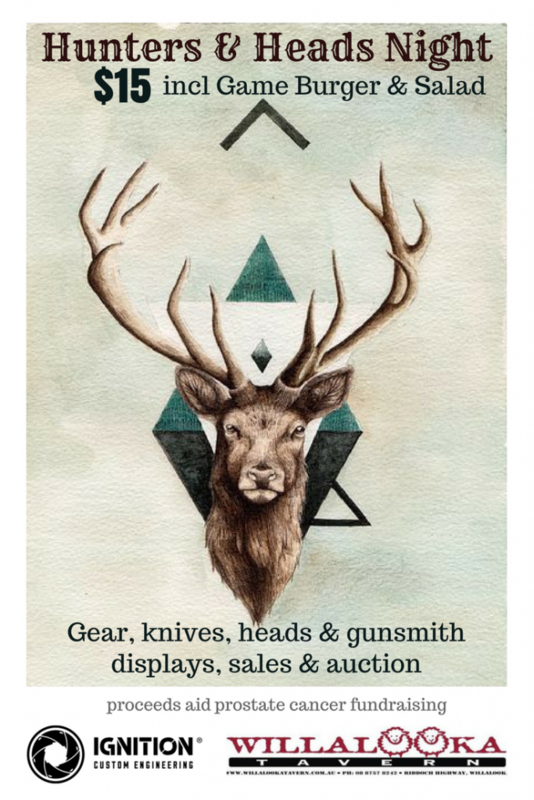 The event draws people from across Australia and combines country hospitality with displays and actions of hunting gear, apparel and goods. The display will feature various taxidermied heads. 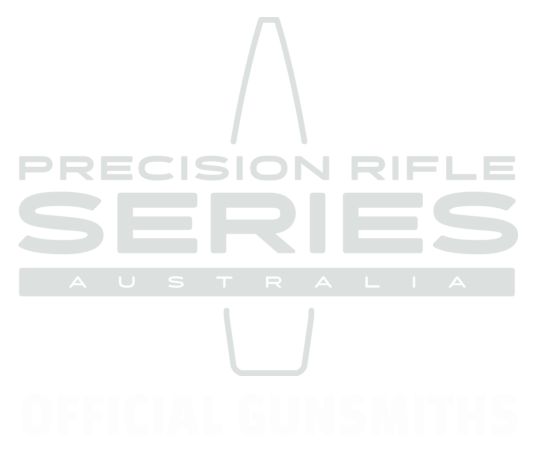 Our head gunsmith Nik will also be around to shoot the breeze around the Tavern’s wood fires, including your firearm build or repair projects, and may have a few items for display. The event starts at 5pm on Saturday, July 29. We will also be donating towards the action which aids prostate cancer fundraising. Anyone wishing to display heads or host, host a display or donate goods towards the fundraising is welcomed. Contact the Willalooka Tavern for more information on 8757 8242. Willalooka is a small rural community surrounded by farmland and beautiful native scrublands on the Limestone Coast (South East South Australia) in the Tatiara Council between Adelaide and Melbourne . Willalooka is about 2.5 hrs drive from Adelaide on the Riddoch Highway. Only 30 minutes down the road are the cellar doors of the incredible Padthaway wine region or 60 minutes to the internationally acclaimed Coonawarra wine region.